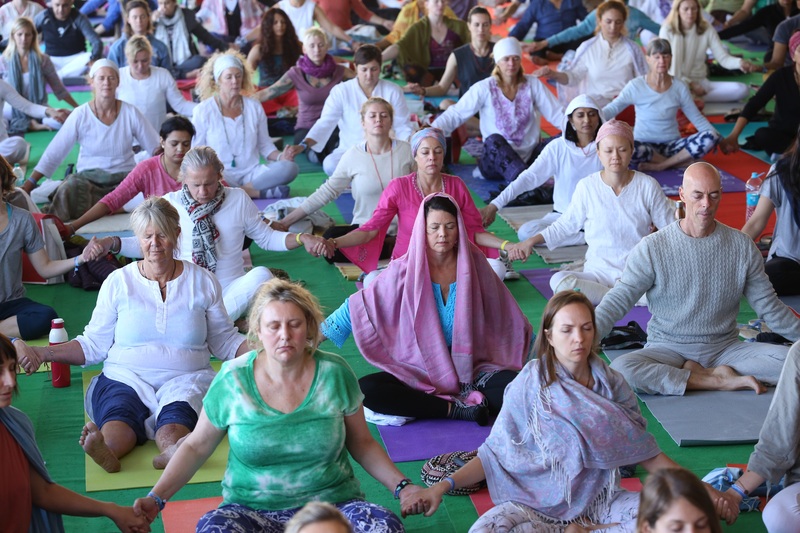 People of different nationalities, religions and race participated in the International Yoga Festival 2017 to testify that Yoga is the uniting force of the entire world. 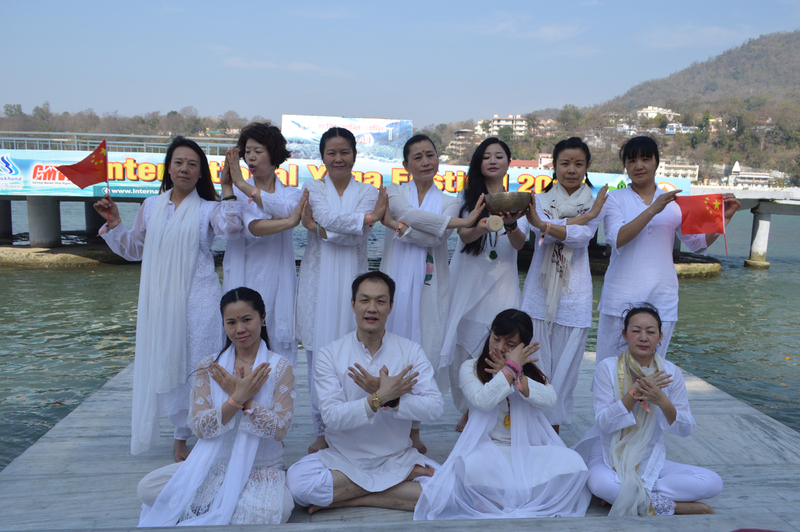 This was the 29th edition of the Annual event which was held in Rishikesh during the first week of March. Here is a glimpse of the event which was organised with much aplomb by the Parmarth Niketan Ashram in Rishikesh. On the 29th Annual International Yoga Festival, the day begins with a meditation session on the banks of the River Ganga. Chai in the garden turns into yoga play with new friends! 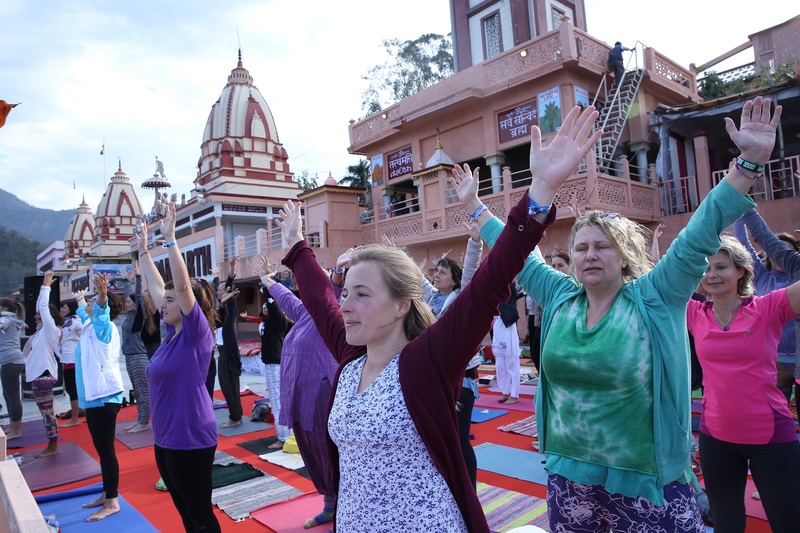 Participants from over 100 countries converged on the banks of Ganga for this year’s International Yoga Festival. Advanced asana classes on the Ganga Ghat. The first person to register from each of the 101 countries attending IYF 2017 got the opportunity to represent their country at the Festival. Yogis came all the way from China for the chance to practice yoga with people from all over the world. Yogis from Turkey meditating at the International Yoga Festival held at Parmarth Niketan Ashram in Rishikesh. Yoga, once an art restricted only to the sages of the high Himalayas, is now practiced by some 300 million people worldwide, making Parmarth Niketan’s International Yoga Festival a tremendous draw for individuals from around the world. 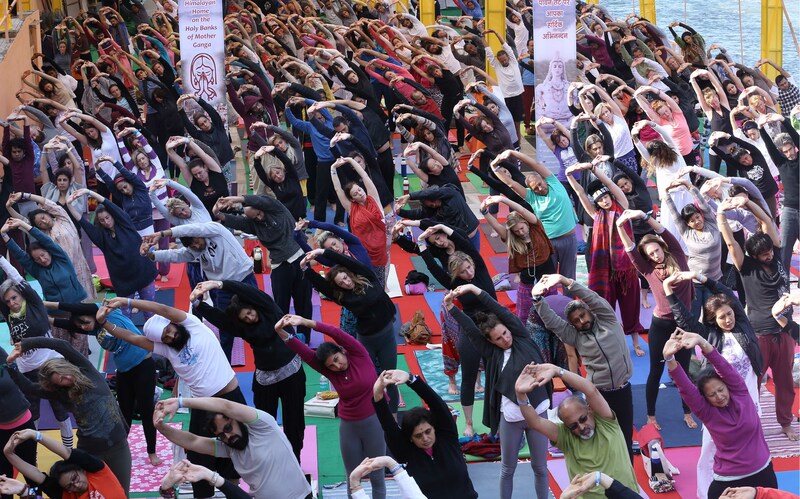 The International Yoga Festival drew over 1,500 people from over 100 countries, as well as the participation of numerous renowned faith leaders, dignitaries and Yogacharyas. 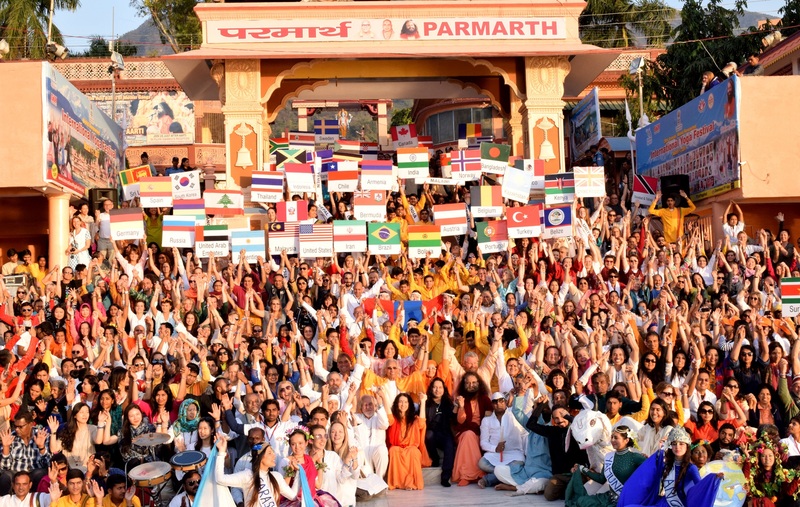 The annual world famous International Yoga Festival at Parmarth Niketan offered daily classes from 4:00 am until 10:00pm with more than 70 revered saints, yogacharyas, presenters and experts from nearly 20 countries around the world.